The Tekumel Sourcebook is now available! The Foundation will be releasing the maps from the Swords & Glory, Vol. 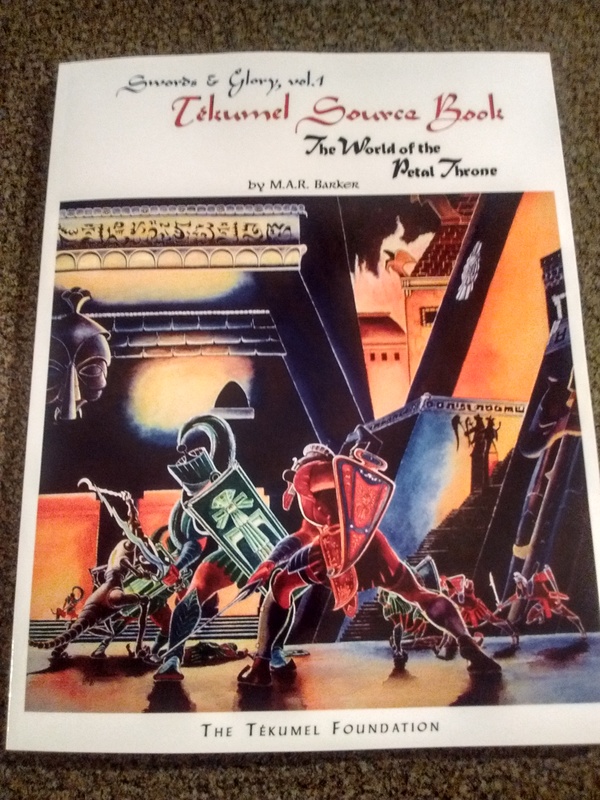 1 boxed set in the near future, to go along with the re-release of The Tekumel Sourcebook. The original maps from Empire of the Petal Throne may be used in conjunction with The Tekumel Sourcebook. 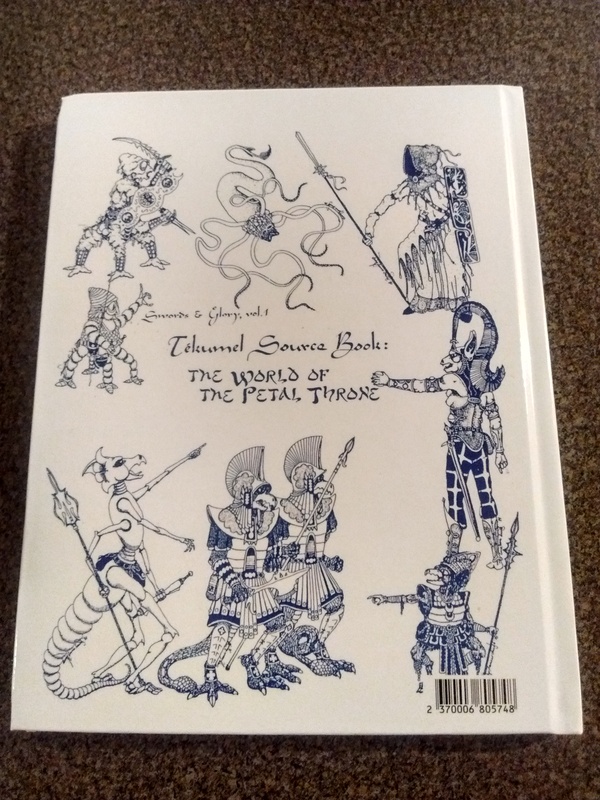 You may purchase the print version of the Sourcebook along with the PDF as a DriveThruRPG bundle (nb: you may need to log in to view the Sourcebook).